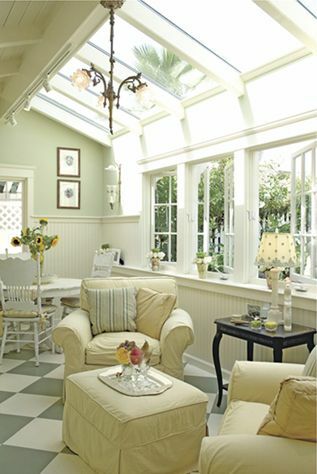 Beranda » How To Decorate » How To Organize & Clean » A Soothing and Sunny Sanctuary…..
What an inviting cheerful cottage sunroom with it’s soft color palette and natural light flooding in through a wall and ceiling of white window panels! I love the comfy and understated yet nicely put together furnishings and decor elements that draw one in to bask in a relaxing oasis of warmth and charm. This photo is affiliated with an article found at the attached link that will inspire and give you ideas of how to create a similar space! 0 Komentar untuk "A Soothing and Sunny Sanctuary….."